One of the easiest meals I've ever made! 3 ingredients is all you need for this pulled pork and you can make sandwiched, tacos, quesadillas and more. Yum!!! Cook pork shoulder and Root Beer together in slow cooker on low for 8 hours. After pork shoulder is cooked, shred using 2 forks. Add a whole bottle of BBQ sauce and mix together. 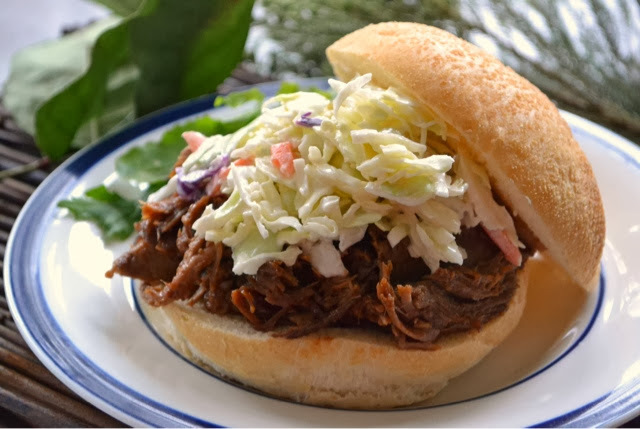 Eat as a sandwich, taco or quesadilla topped with slaw (I use bagged close slaw mixed with a little ranch dressing).